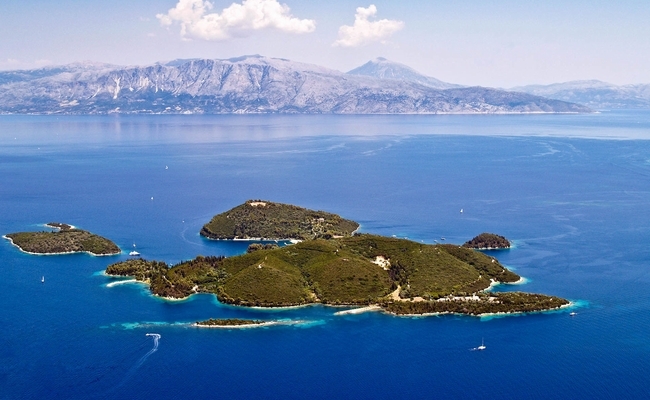 Overhaul works on the islet of Skorpios, located off the Ioanian island of Lefkada, have begun preparing the ground for a 160-million-euro exclusive luxury unit to host VIPs. According to Greek daily Kathimerini, the project, which will include in the main area seven VIP suites, three swimming pools, an artificial lake, a spa center, leisure spaces and a screening venue, will be ready in three years’ time. Twelve new villas will be also built in three different locations, coastal dwellings will be renovated, existing sports facilities including tennis courts and soccer fields will be modernized, new playgrounds added as well as an amphitheater, restaurants, and the extension of the marina to host mega yachts. The islet was purchased in 2013 by Russian billionaire Dmitry Rybolovlev for his 24-year-old daughter. The newly set-up independent firm Mykinai SA will be managing the tourism investment, which owners say will be in tune with the natural surroundings, respecting nature protection regulations. When not in use by the Rybolovlev family, the islet and its facilities can be leased in total for exclusive use, Kathimerini reports. According to market insiders, the weekly rent may reach 1 million euros, this sum however has not been verified by the Rybolovlev family. There are currently 50 employees working on the island and according to Kathimerini, the construction company awarded the project will be required to employ local subcontractors. An estimated 150-200 jobs will be created, and once completed, it will also generate opportunities for Lefkada suppliers. 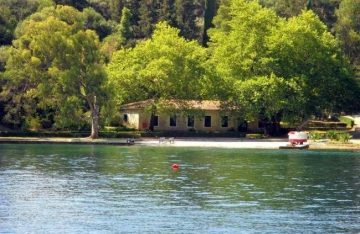 The lucky vacationers to the islet, once completed, will have a chance to see a 500-year-old olive tree planted by Onassis himself, the 180-year-old “Pink Villa” renovated in 2014 and a mini museum displaying Onassis family memorabilia, the Sailor House, a large bio fruit and vegetable garden, and stables, among others. The island was purchased by Greek shipping tycoon Aristotle Onassis in 1963. Skorpios is the island where he wed former US First Lady Jacqueline Kennedy in 1968. Onassis, his son Alexander and daughter Christina are buried on the northern part of Skorpios, which still belongs to Athina Onassis.